There are a lot of great day trips you can take from Auckland. 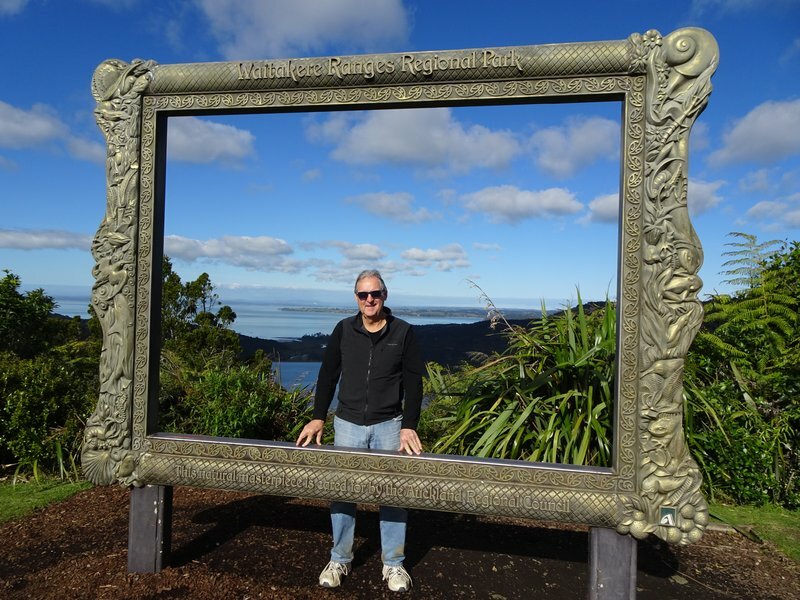 Two that we liked were the Waitakere Ranges Regional Park and Rangitoto Island. 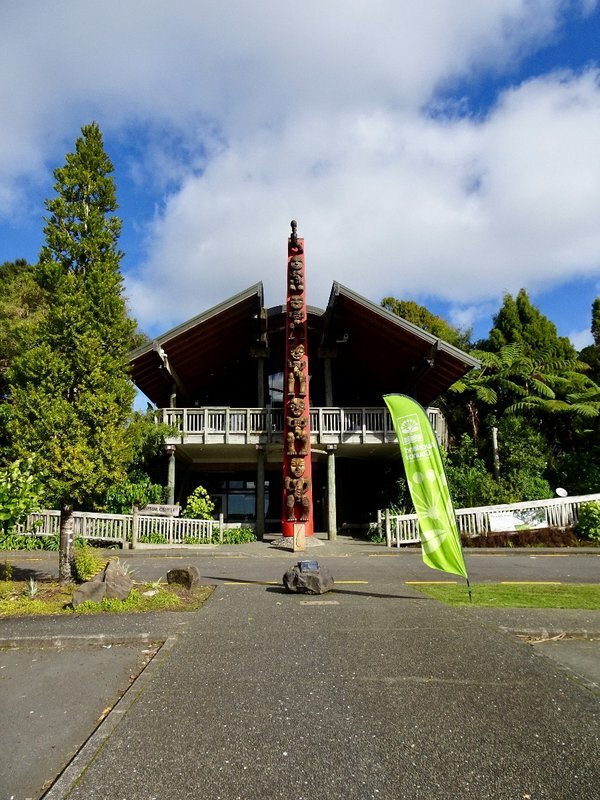 This park is located on 39,500 acres, and it can be accessed about 15 miles west of the Auckland CBD. The ranges here are covered in rainforests, and there are high cliffs with several beaches intermingled. 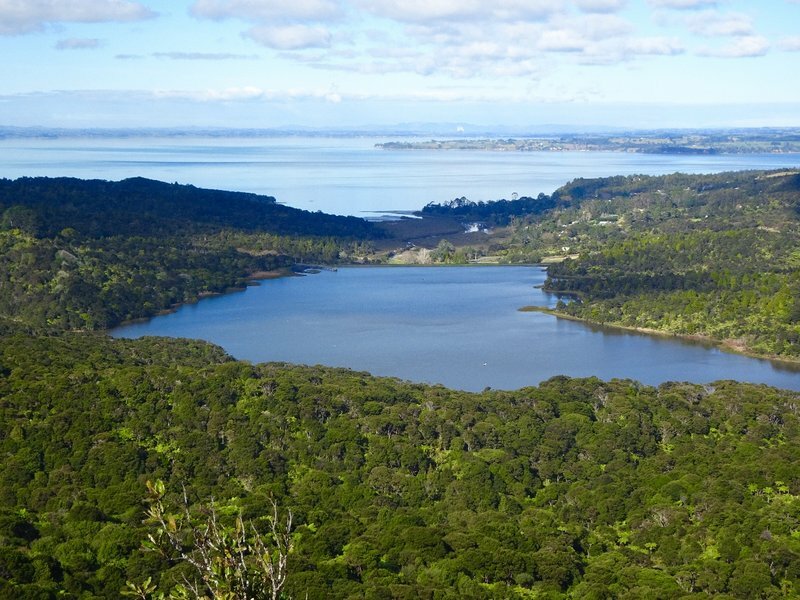 There are 5 reservoirs in the mountains; they supply approximately 25% of Auckland's water. It rains almost twice as much here as in Auckland. We took what is called the "Scenic Drive" along a good portion of the length of the Waitakere Ranges. 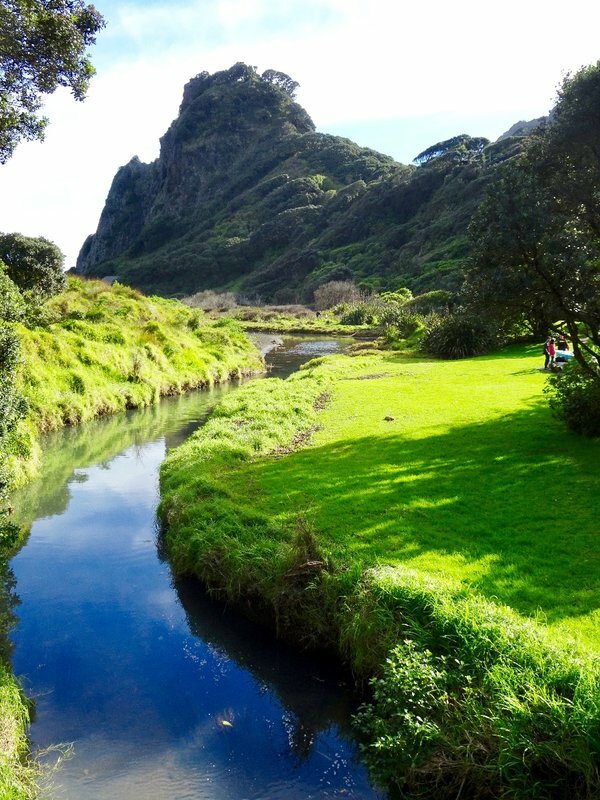 We stopped at the Arataki Visitors Center, Piha Beach and to it's south, Karekare Beach. 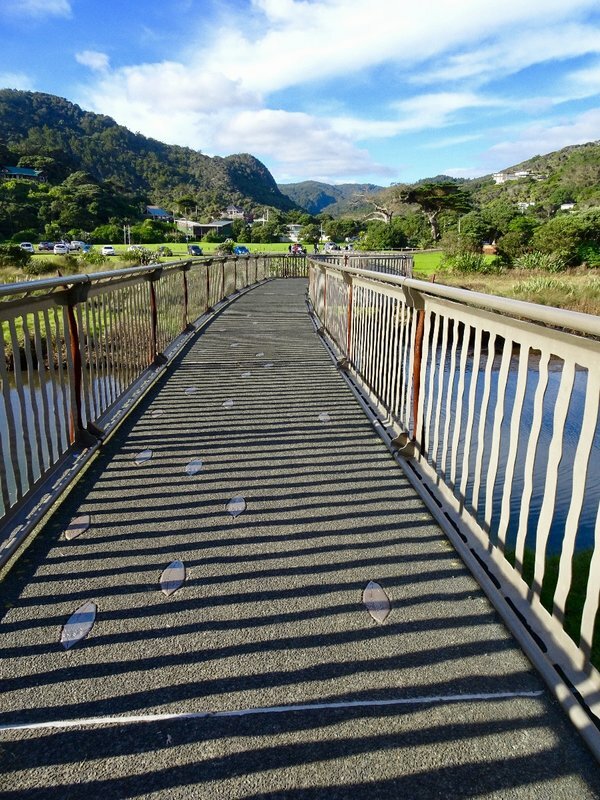 The 'Story of the Eel' footbridge links the Piha Domain, with South Piha Beach, and the famous Lion Rock. It was designed by a local artist; it celebrates the short and long finned eels that still live under the bridge, in the Piha Stream. 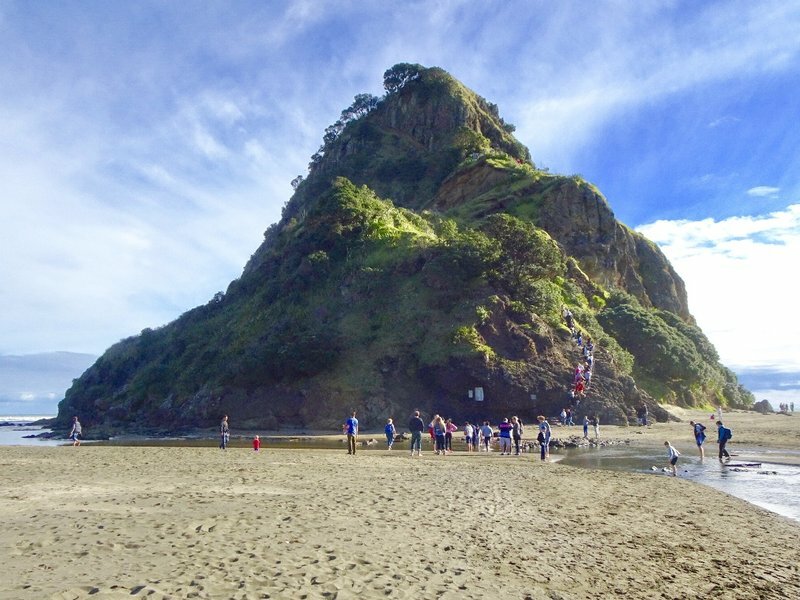 The Lion Rock as viewed when entering Piha Beach. To see the lion shape, you have to view it from the side. There is a climb part way up the rock; it starts at the tail and ends at a grassy point at shoulder level. The upper portion was closed after a rock slide several years ago. 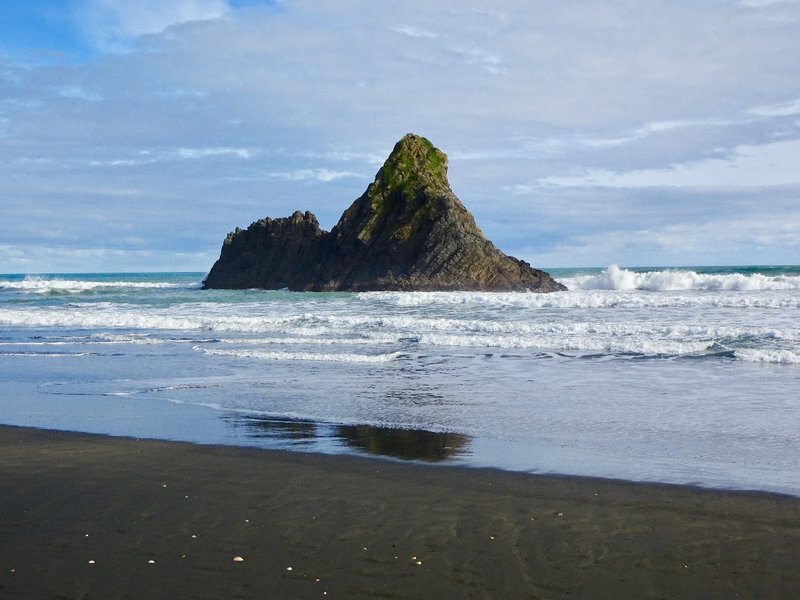 This black sand beach is called Karekare Beach. It is here that some of the scenes from the movie 'The Piano' were filmed. Holly Hunter, Anna Paquin and her piano, first landed on this beach in the film. 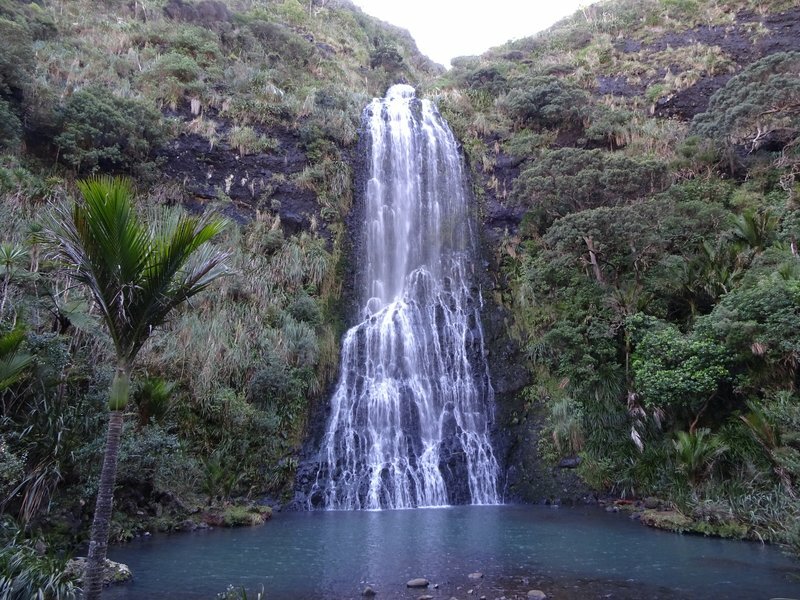 The walk between Karekare Falls and the Karekare Beach, follows this stream. 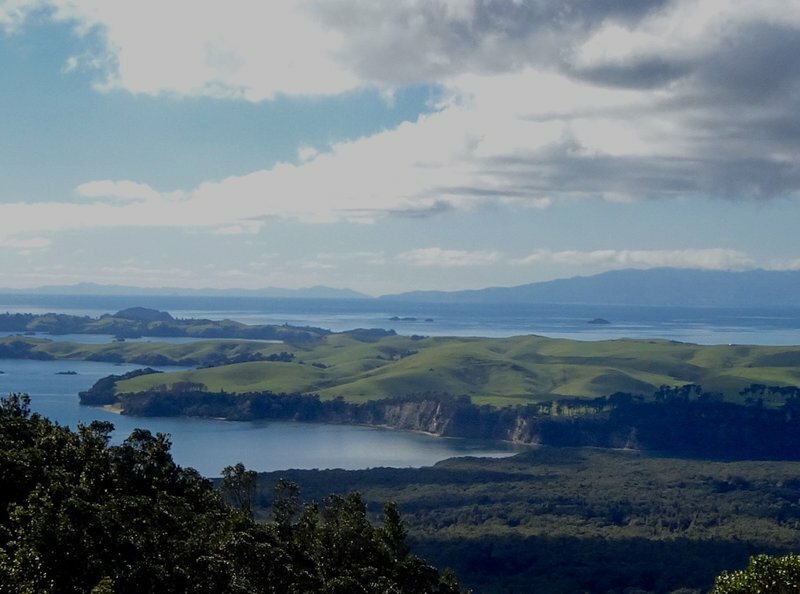 This view from the Arataki Visitors Center looks over Lower Nihotupu Reservoir and Symonds Bay. I really need to count how many times he has been framed on this trip, or better yet, how many times he has refused! We could see this coned shaped island from the window of our Auckland apartment; one day we decided to take a short ferry ride out to see it. Rangitoto is NZ's youngest volcano; after a series of eruptions, it emerged from the ocean approximately 600-700 years ago. The island is about 3 1/2 miles wide; it is connected to Motutapu Island by a causeway. 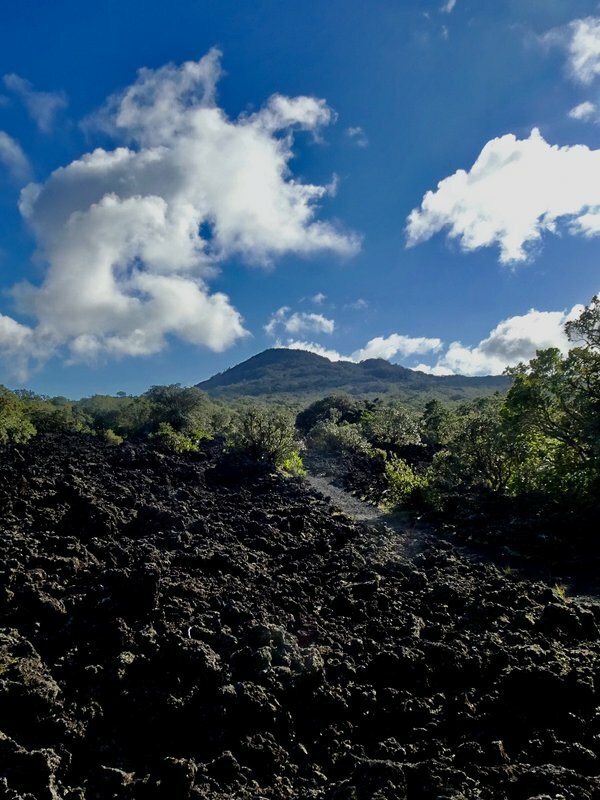 Rangitoto is made of lava fields and forest; and Motutapu is rolling pasture land. 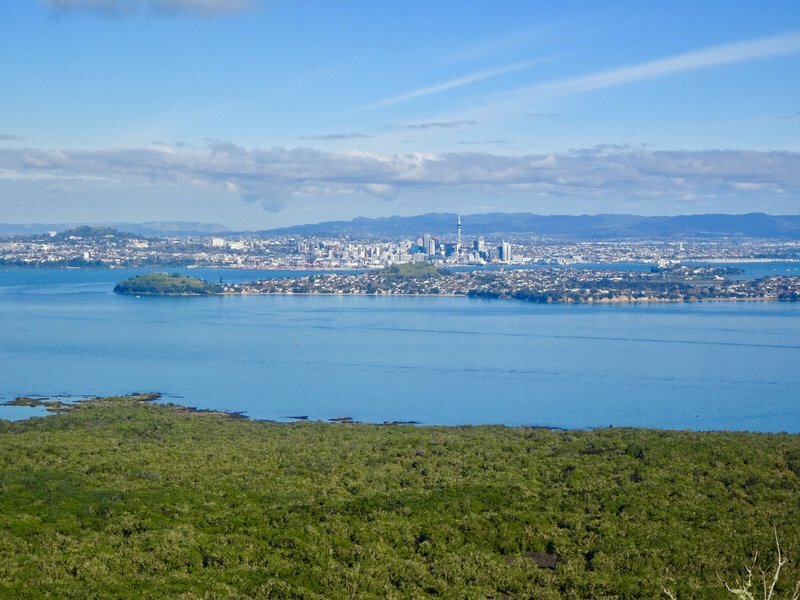 Rangitoto is a scenic reserve; since 2011, it (along with Motutapo) claims to be pest free. This means that they have removed cats, rats, stoats, possums and hedgehogs. 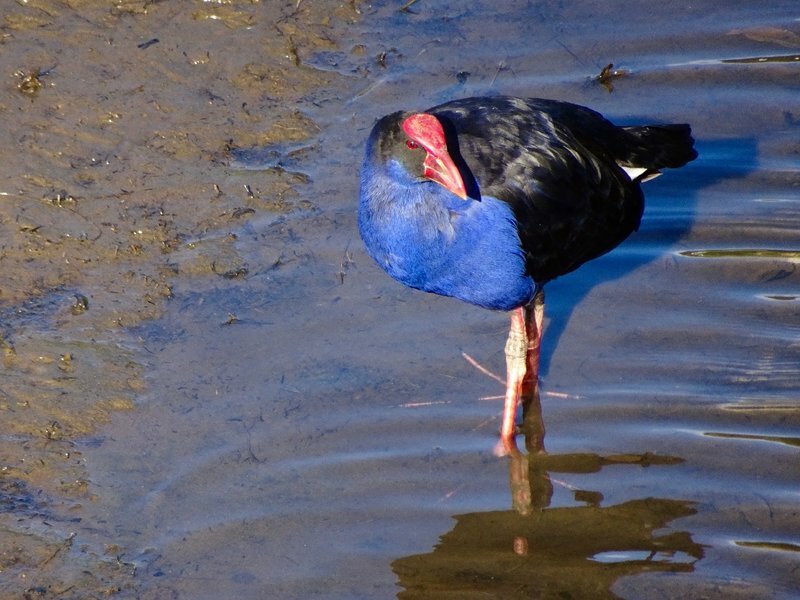 Now that the pests are gone, they have re-introduced several kinds of birds, and there are now over 200 species of plants. It has the largest Pohutukawa forest in the world. 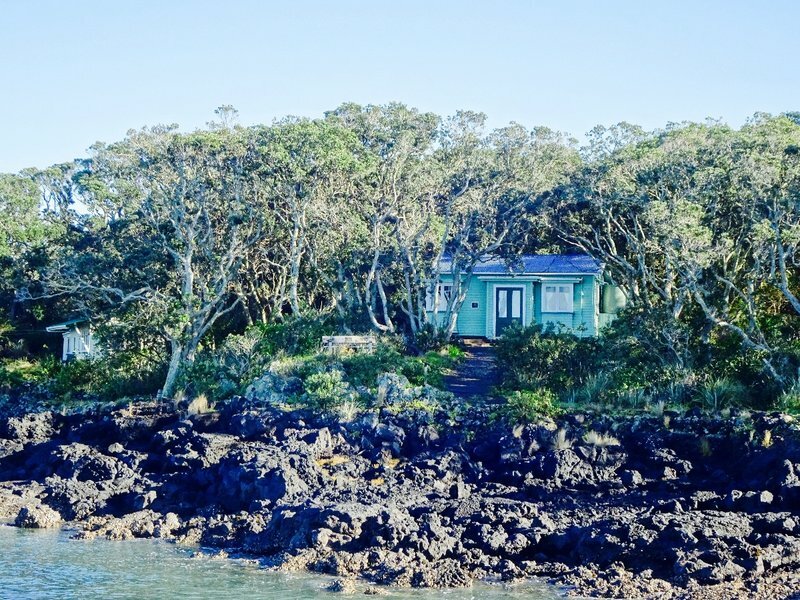 These baches (holiday beach homes) were built on Rangitoto in the 1920's and 30's for private use. By 1937, further building on the island was prohibited. There were once 140 baches, but now only 34 remain; basically, once a lease ran out, it was torn down. Now that the historical significance is more apparent, at least for now, the remaining baches will stay. 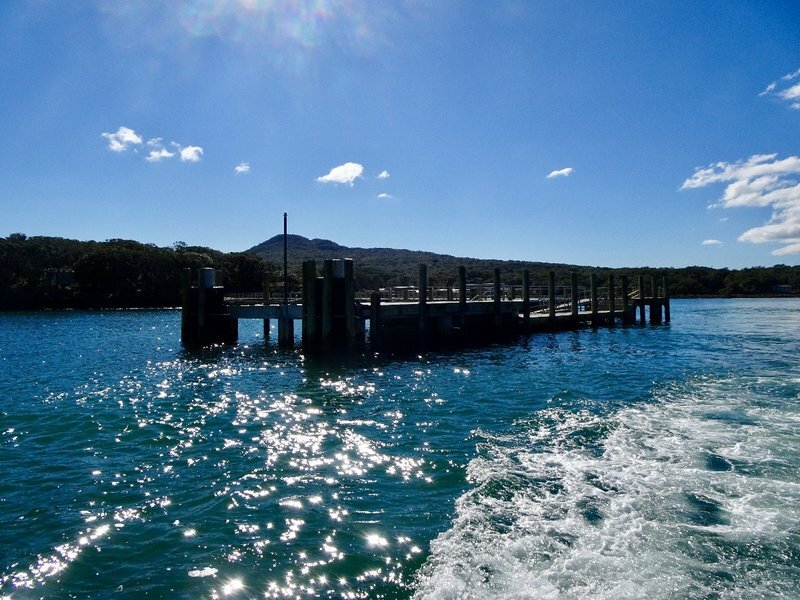 From the Rangitoto Wharf, it takes about an hour to climb to the summit. The whole Island is made up of piles of these lava rocks. 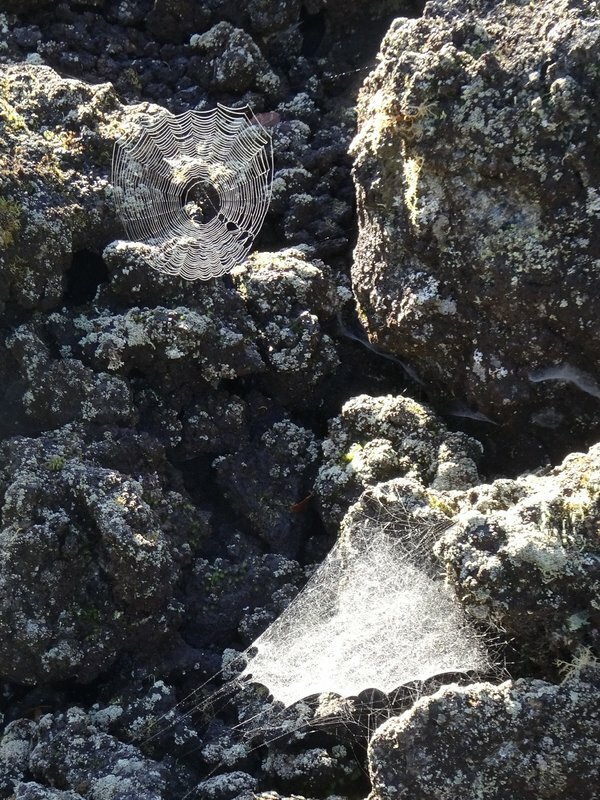 If you venture off the trail, the rocks are filled with cobwebs. 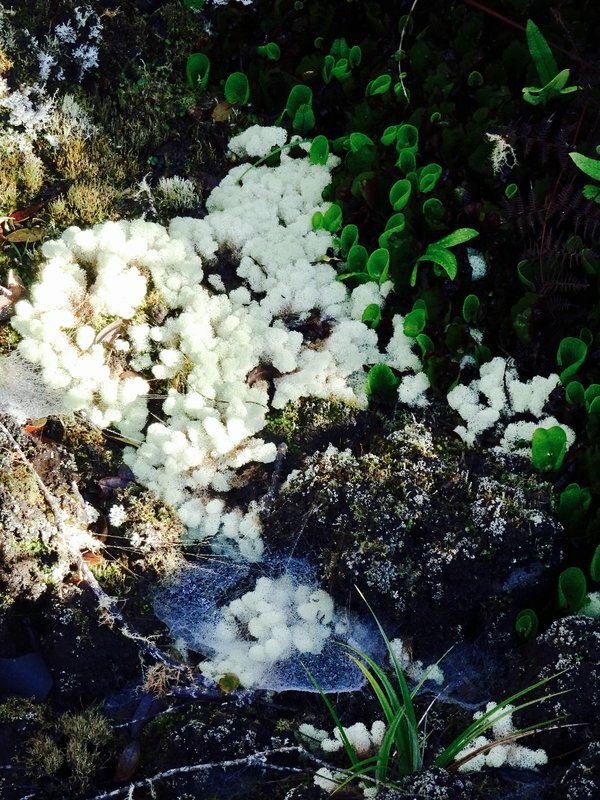 There is an array of stuff you can see growing on the lava rocks here. 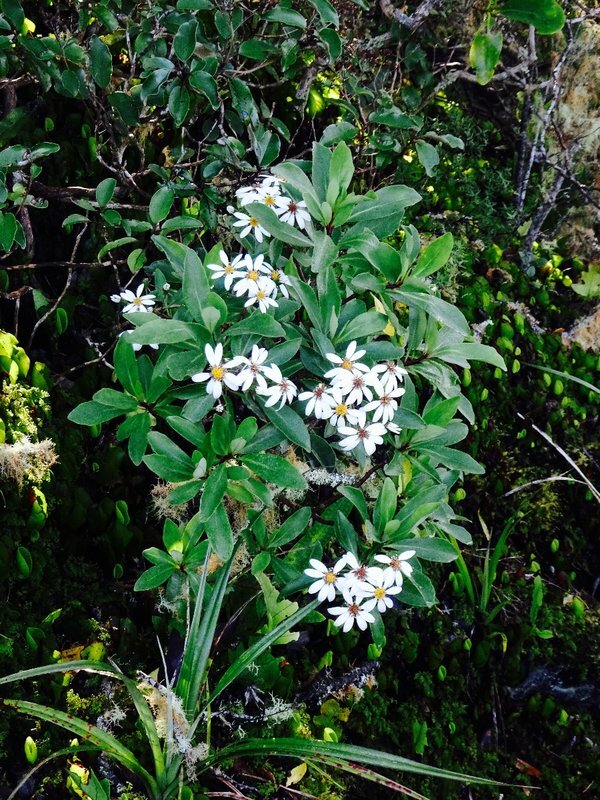 Kirk's Daisy is an example of a NZ shrub that is at risk/declining but it was re-introduced on the island. 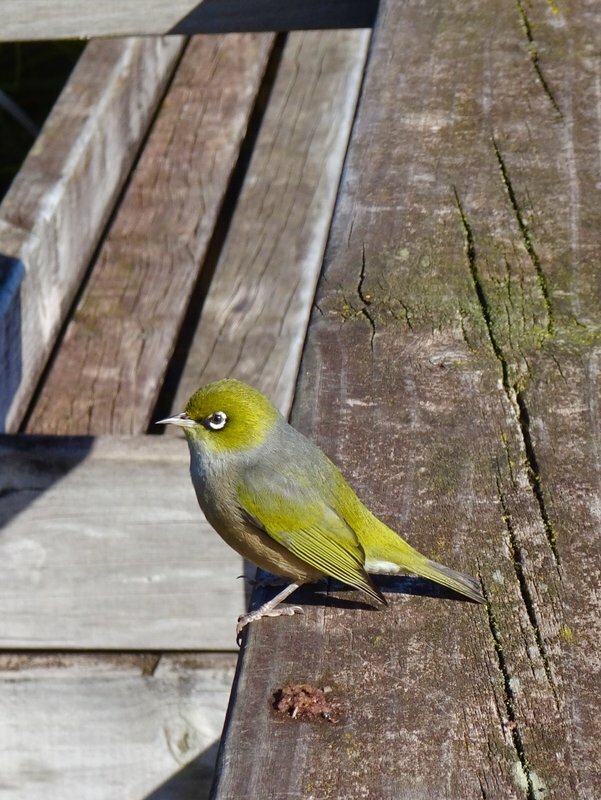 When I reached the summit of Rangitoto, I had several feathered friends. Evidently they have grown used to the visitors sitting on the benches here to have their lunch. 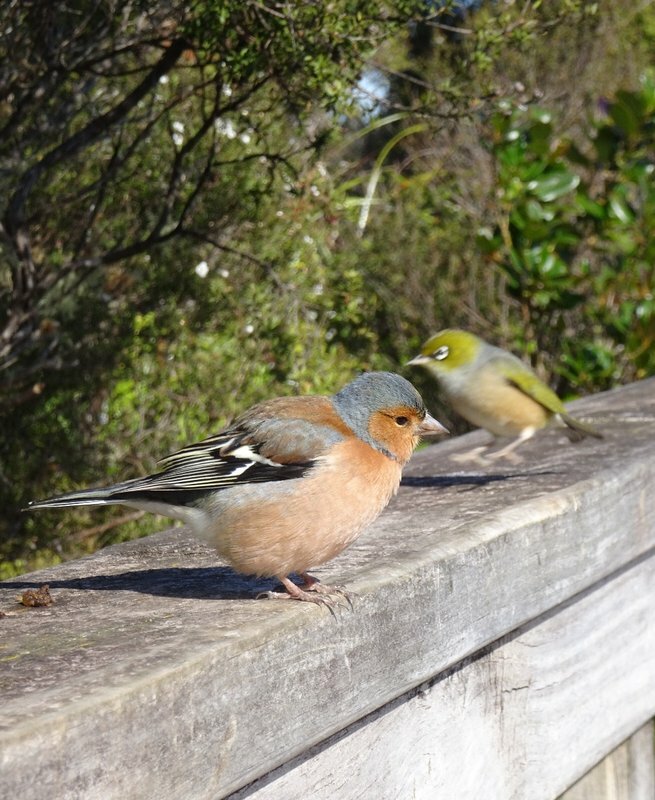 While I was trying to get a picture of this chaffinch, a wax eye sneaked into the picture. The wax eyes were especially friendly. The view from the summit of the much larger island of Motutapu. This is one of the oldest islands in Hartaki Gulf. It is believed that the Maori were here when the last big eruption of Rangitoto took place. During WWII a causeway was built between the two islands. From the summit, this is the view of Devonport in the foreground and the Auckland skyline in the background. The view of Rangitoto is from the ferry heading back to Auckland. 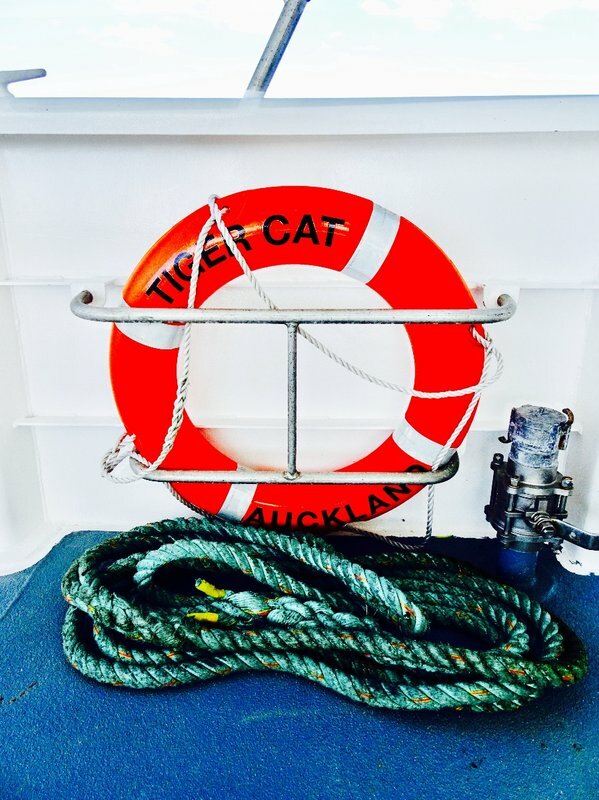 Our ferry back to Auckland from Rangitoto Island.